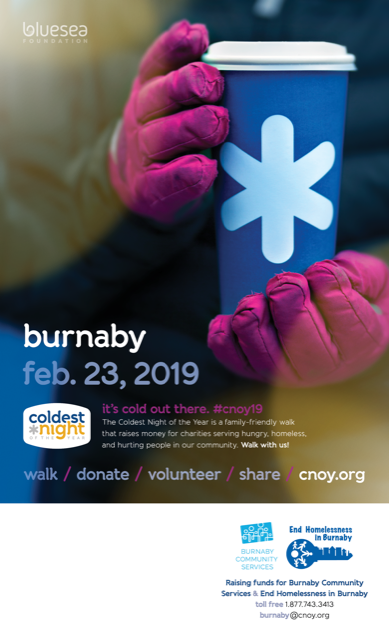 I am pleased to announce that The Society To End Homelessness In Burnaby has partnered with Burnaby Community Services to host Burnaby’s third annual Coldest Night of the Year. 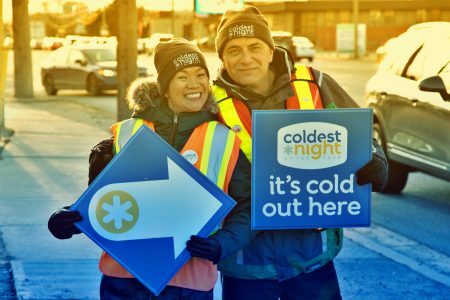 The Coldest Night of the Year is a super-fun, family-friendly fundraiser that raises money to support and provide services for Burnaby’s homeless citizens. It is done by people forming teams for either a 2, 5 or 10 km walk, and then getting pledges from friends, family, coworkers and others for the person or team to complete their walk. It’s cold out there. And on February 23rd, 2019 we’re doing something about it. 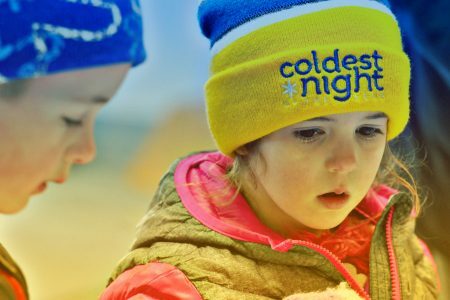 Together with thousands of Canadians across the country, our team will be walking in the Coldest Night of the Year, raising much-needed funds for local charities who support and serve the hungry, homeless, and hurting. Sign up to walk and participate! For low income clients only. 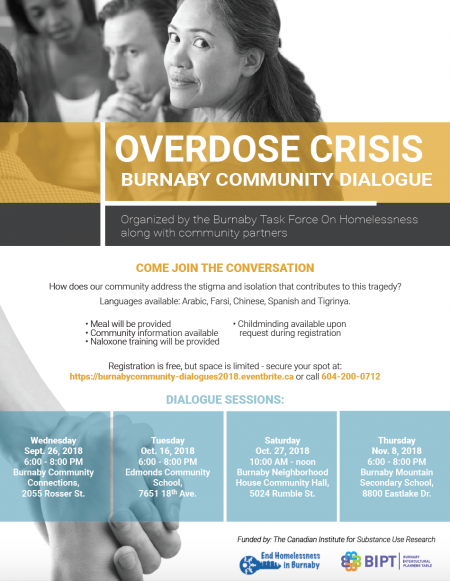 We are inviting people who live and work within Burnaby to attend one of four community dialogues about the overdose crisis. Please find links to information posters below. 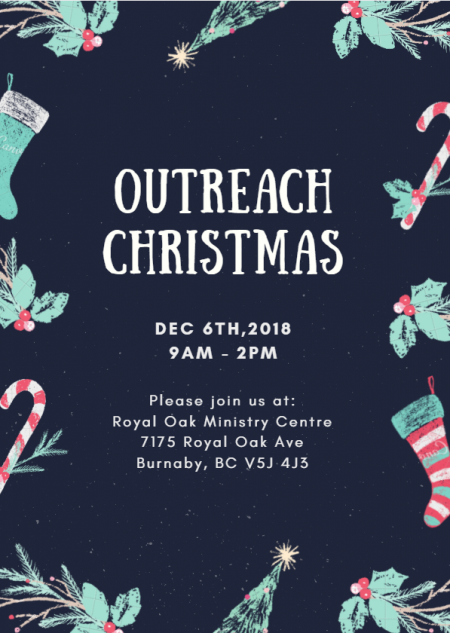 In 2017, Burnaby experienced the seventh largest number of deaths from illicit drug overdose in the province and the third largest number of deaths within Fraser Health. According to the BC Coroner’s reports, the majority of overdoses are happening inside private residences– in other words, behind closed doors. Burnaby is a very multicultural community and has the second highest proportion of immigrants in BC, 50% of the City’s total population. 60% of residents speak other languages as their mother tongue. The purpose of the dialogues is to reduce stigma and engage communities in thinking differently about people who use drugs. The hoped outcome will be increased safety for people who use drugs as well as increased community understanding and support. Given the extent and diversity of the ethnic population, it is important to engage them in these community dialogues. This crisis touches all of us. The same poster is available in 11 different languages. Please take copies of the poster(s) that best meet your needs and share them. Google translation can be used for languages not already covered. 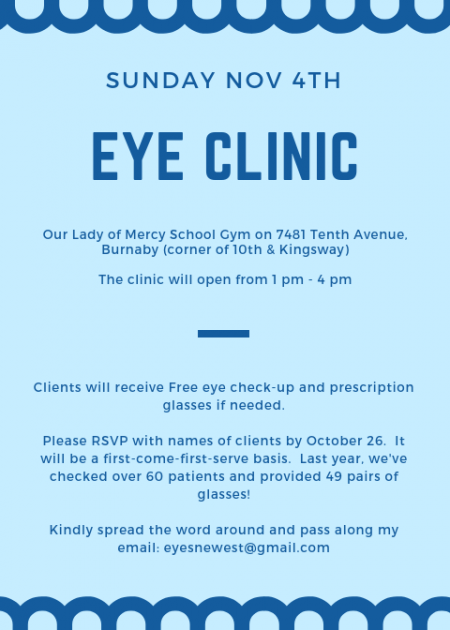 While these dialogues are for people living or working in Burnaby, others can attend should there be space. The attached posters identify how to register. Registration is important to ensure enough food, and to arrange for child care and translators. People needing translators also need to email our office info@burnabyhomeless.org or call (604) 200-0712 to identify what their mother language is so we can make those arrangements, thanks to Ana Maria Bustamante for The Burnaby Local Immigration Partnership and Burnaby Family Life. 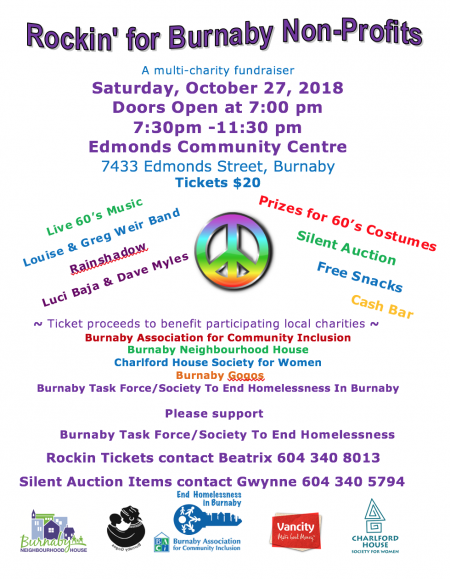 This event provides services to our neighbours who are living in homelessness or extreme poverty and assists people who are homeless in Burnaby or at risk for homelessness by operating programs that address their needs. 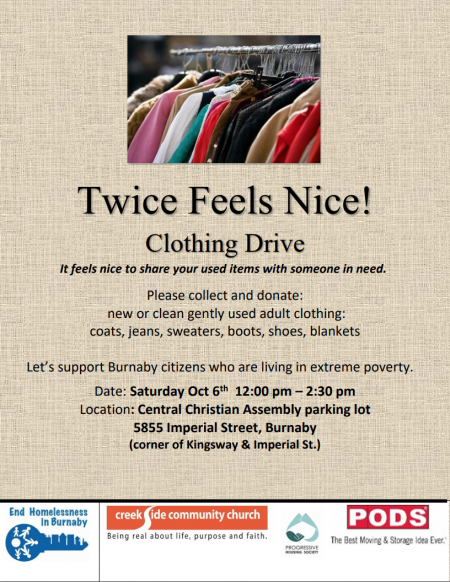 Donations needed! Clothing, shoes, jackets, toiletries, women’s hygiene products, bottled water, granola bars, juice boxes, and anything else that can help those who are in need this winter. Stay tuned for more information and updates coming your way!